It is with great pleasure to announce the proclamation of the panhellenic competition CanSat in Greece 2019. CanSat in Greece is being organised for the third consecutive year on a national level. It is an initiative of the non-profit organisation SPIN- Space Innovation supported by our School of Electrical & Computer Engineering of the National Technical University of Athens, the Corallia, the si-Cluster of Corallia and IEEE Greece Section. Τhe competition includes two categories, one for high school students and one for university students. Each team consists of 4-6 participants and the purpose of each team is to build a satellite the size of a beverage can. The satellite will be launched with a rocket up to an altitude of 1kn and while landing with a parachute, it will implement the space mission that the team had chosen and designed. The high school category is the preliminary phase of the European competition CanSats in Europe organised by the European Space Agency (ESA). The university category is a systematic effort to organise a university students’ space competition in Greece and is the outcome of the need for more and more young people to experience the visualisation and implementation of a space mission. In order for a team to participate in CanSat in Greece 2019, they have to choose and design their own space mission which they should submit with their application. For more information please read the Participation Guidelines and the Informative Guide, which you will find here. The deadline for submission of applications is 14th October 2018 at 23:56. 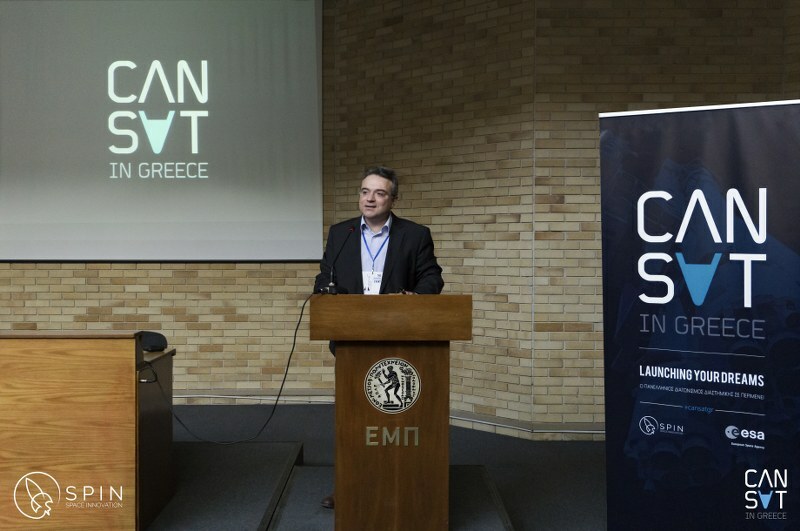 CanSat in Greece is organized to enhance innovation, technology and science. It will be a great pleasure to welcome you to the family of CanSat in Greece. You can find further information about the competition in CanSat website and on Facebook.